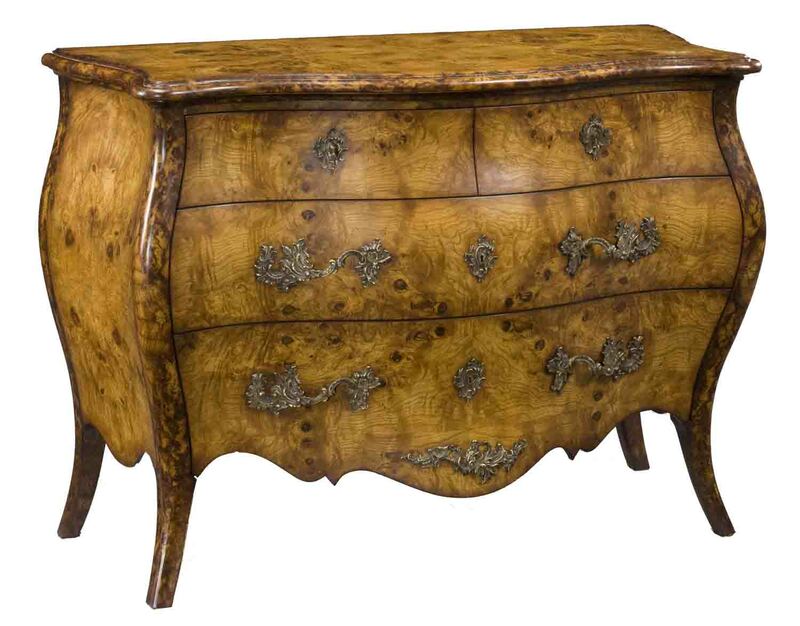 Louis XV style commode of three drawers. Solid walnut wood and drawer linings in oak wood. Fine cast brass moldings and brass handles in paris finish. Old world walnut finish. Ebonized rub thru and venetian gold rub thru accents. Fine cast brass moldings and brass handles in italian red gold finish. The perfect accessory for the Helium bed, this single-drawer nightstand will complete the perfect setting for a modern and contemporary bedroom. This designer nightstand will bring an even more modern look to your bedroom and provide perfect storage for all the items you might need. The extraordinary German design and Austrian craftsmanship combine perfectly and merge together to give way to a perfectly shaped and integrated structure. Available in two kinds of wood (oak and walnut).